Who likes to be criticized? Do you? Anyone you know? If no one likes to eat wriggly live worms then you don’t eat them. So if no one likes to be criticized then why do you do it? What do we mean by criticized? We mean unfair, uncalled for comments about another person which, whether said behind their back or to their face, causes them to feel hurt, angry and upset. She is fat and ugly. He is stupid and smells. You are rude to my parents. You are useless at (whatever). You will never get this right. You sneer at (whatever). You think you are always right. You are always wrong. You make me cross when you do that. Can’t you ever make me happy? You can’t wear that, it makes you (whatever). When are you going to make more money? When are you going to shut that mouth of yours? Etc., etc., etc. Do happy people criticize others? No, they are happy and positive about life, why would they want to introduce negativity? They simply accept the other person in their space – warts and all. So, where does criticism come from? What makes one person be critical of another? There are only two emotions. Love and fear. You either come from love, and if you do then you will not be critical of another, or you come from fear. If you come from fear then being critical of someone else is your fear-based defence mechanism to protect yourself. You feel insecure about something, so instead of acknowledging it, accepting it and working it through, thereafter realising that the fear was simply that – FEAR – FALSE EVIDENCE APPEARING REAL, you mirror that fear onto someone else. The old saying of “When you point you finger at someone else you have three fingers in that hand pointing back at you,” is so apt here when discussing criticism. You look fat in that dress could mean I am worried that if I wore a dress like that I would also look fat in it. Alternatively, if you go out with me looking fat in that dress people will think worse of me. Criticism comes from judgement. Your judging someone else is pretty senseless. When you judge someone, as many of you do continually, you are coming from fear. How can you judge someone unless you have stood in their shoes, seen things through their eyes and understood exactly all they have been through to that point in their lives. You may judge someone unfairly because their shoes are last year’s fashion, but do you know how they struggled to afford even those shoes. How can you judge someone or something unless you stand where We do and where We can see the Bigger Picture of countless lifetimes throughout eternity. Rich man, poor man, beggar man, thief – how can you possibly know why people live their chosen, contractual lives so their souls can grow towards the Light, The One, that which some of you call God. As We have told you throughout Guidespeak.com and in countless other avenues, think, act, do, say “What would love do now?” and do not judge and criticize others. This brings Us to criticism and judgements in relationships. Regrettably, the saying “Familiarity breeds contempt” is rooted in practice between people. How come perfect strangers who you meet get treated with extreme politeness, respect, tolerance, understanding, even compassion. However, when relationships develop and become more intimate, there is an acceptance that the more familiar the more contempt, rudeness, disrespect can be shown to the other person. Surely the more familiar the relationship the more loving it should be. The more loving should evoke more politeness, more respectfulness, after all this is someone that you care deeply about. The stranger you don’t care about but they get respectfulness. Your intimate friend they get judgement, criticism, rudeness, lack of respect. Is this the wrong way round or what? We do not advocate that you treat strangers with anything but respect, however how much more deserving are your loved ones of even more respect but they get judgement and criticism. There are loving ways to point out issues to your intimate friends. These issues can be introduced respectfully, politely and you may even ask for their permission to point out something that, in your view, needs improving upon. Respect – Recognising Each Soul Politely Ensuring Correct Tribute. 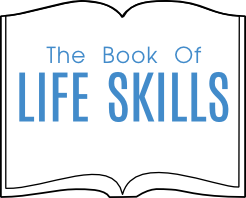 Respect is well covered in the Book of Evolving Relationships and in The Book of Life Skills. Criticism and judgement are fear based, respect is love based.